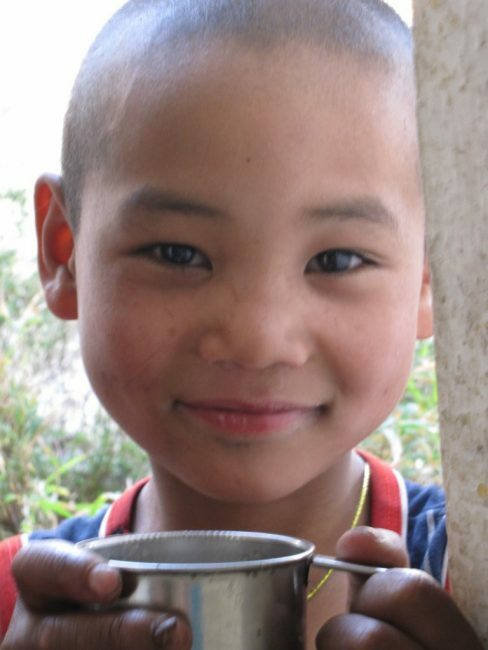 Shannon of alittleadrift.com shares her experience of Teaching Monks in Nepal. Shannon was kind enough to take time out from her exciting adventures to contribute to our series; Giving Back, Travel the World and Make a Difference. She spent a month in Nepal teaching young Monks and has definitely inspired us to follow her lead and do something similar in our upcoming travels. There’s one question that crops up with seemingly every new person I meet along my travels: What’s my favorite country? The simple answer, Nepal. Though there are several countries that have touched me, really it’s the people along the way who have impacted me the most; they have shared with me moments, view points and perspective and altered my perceptions of the world. My love for Nepal really comes down to my volunteer experience at a small monastery nestled in southern hills of the Kathmandu Valley. I feel that I touched a much more honest part of Nepal through my four weeks actively creating relationships with the Nepali people and giving back in a very identifiable and needed way by teaching English to young monks. The decision to volunteer in Nepal was both purposeful and a bit random. Before leaving on my trip I felt compelled to find volunteer opportunities along the way but I was a bit put-off by the costs and how bureaucratic and profit-driven so many of the organizations appeared. And though I ended up not loving the organization I chose, I haven’t for one minute regretted all of those hassles because, in the end, I was given such a wonderful gateway into Buddhism and the Nepali culture. I was very overwhelmed when I first arrived at the monastery because I had just no clue what to expect for the next four weeks and everything went very quickly. Within minutes of shaking hands with the administrator at the school I was soon chasing along as a shadow of another volunteer for my first day of classes. We walked through the door of the Level III class and a chorus chairs scraping across the floor as the boys stood up was soon overpowered by a resounding “Gooooood morning, Miiiiiisss,” the elongated chant echoing out of every boy in the room. Just those three words are one of my favorite memories. I felt instantly a part of the monastery. That’s all it took. This was my greeting five times a day, six days a week for four weeks and every single time it never ceased to make me feel warmly welcomed, appreciated, and a vital part of their small community. Some of the boys recited the greeting by rote while others were quite earnest and genuine in their greeting, actively attempting to catch my eye for a personal acknowledgement and smile. I really had no idea what to expect from my volunteering experience and there was a niggling fear before I started that my time and efforts will somehow be wasted or not needed. Thankfully, that wasn’t even remotely the case. The boys were so appreciative and generally enthusiastic about learning English and I actively felt that my presence was not only needed, but appreciated. 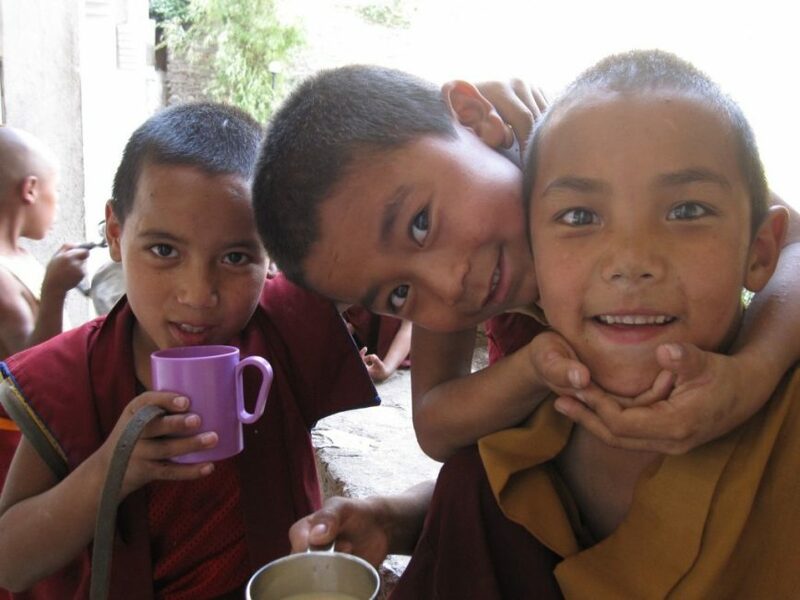 Why Volunteer to Teach Monks in Nepal? I believe that English has become an entry-point for developing countries into higher paying jobs and better living conditions in many cases. Volunteers are so invaluable because they expand the boundaries and borders of the world for these children and native English speakers are able to correct pronunciation and our true mastery of the language is integral at the higher levels. I actually instructed the Level VIII students on some really advanced grammar that one of the monks needed for entry into a University he was applying to just a month after I left (just found out he got in!). The mission behind the monastery really sold me on it all. Manjushri Dechen is quite small, roughly 45 boys ranging in age from five to twenty years, and the students have been plucked out of poor, remote areas of Nepal where they may have never seen the inside of a schoolroom and are given a unique opportunity to live at the monastery. The boys are given food and board and, above all, an education. 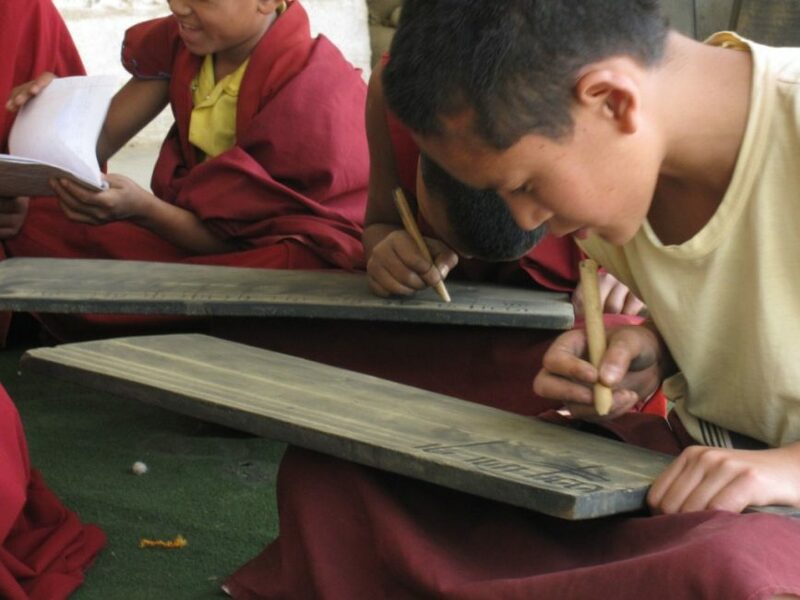 The idea behind the monastery is to raise the education level of the country and lift the rural areas out of poverty. And although some of the boys continue to live the monastic life once they leave the school, others return to their rural villages as householders and bring with them an education and the opportunity to develop and educate their own local communities. At this point, as I look back on my volunteering opportunity in Nepal, I cannot even imagine my trip without having taught at the monastery. Before I got to the monastery I was actually unsure about the decision to spend four weeks there teaching – that was a pretty big chunk of my trip and I feared that I would have been bored by the end. Not even remotely the case! I was so sad that I had already booked my flights out of Nepal. I was actually actively looking for a way to stay at the monastery longer – even considered dropping the plans for my trek through the Annapurnas! There is not one trace of regret in the decision to volunteer and I found it endlessly rewarding – a two way street really because I learned a lot about Buddhism from the older students while also really feeling like the boys responded well to not only my English lessons but the focused and complete attention of an adult. I was there for them, wholly, so they had my attention if they wanted it during breaks, tea time, and even after classes. My experience was actually so positive that it’s now a key part of all of my future travel plans. I’m heading to South America next spring and I fully plan to locate an orphanage or some sort of organization that can use my time and skills. The boys at the monastery, with their impish grins, running noses, and enthusiasm for Dr. Seuss have such a special place in my heart. Volunteering is about giving back to the local communities and doing your part to actively contribute and help advance poor and developing regions but there is a more selfish reason to do it all too: it’s just good for the soul. Shannon was named traveller of the year by National Geographic; her travel blog, A Little Adrift, shares stories, pictures and videos from the road. Though her former life as an actress in LA is calling to her she plans to stay on the road for another year or two (with breaks!). 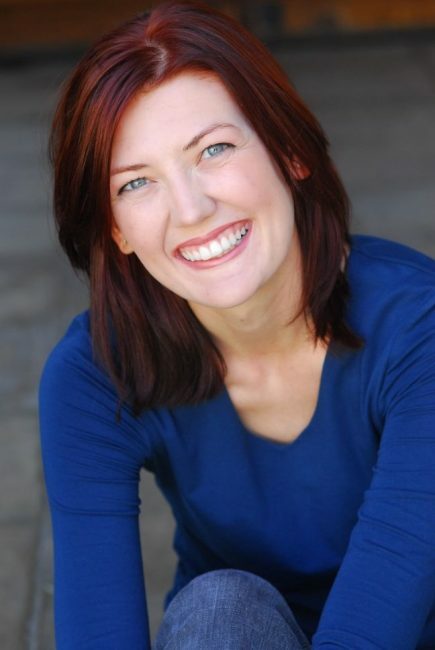 Follow her blog or connect on Twitter @ShannonRTW. 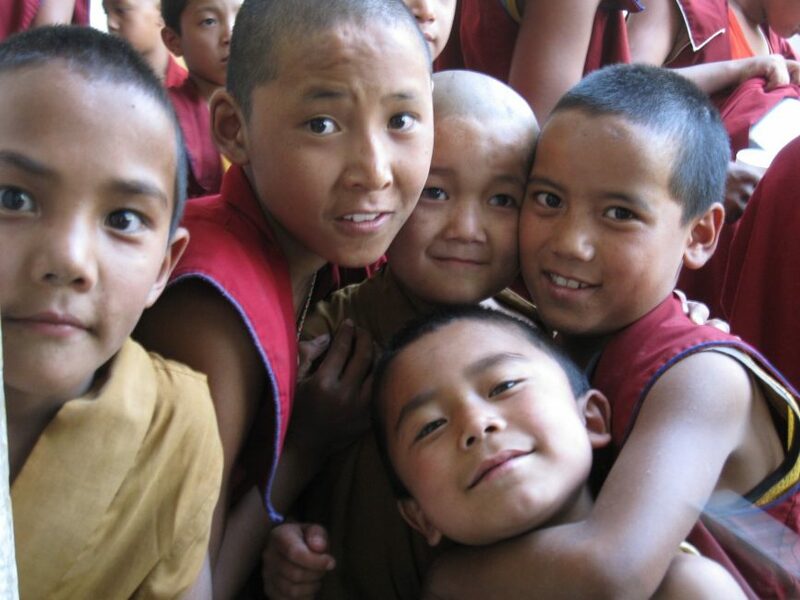 23 Responses to "An Uplifting Month Teaching Monks in Nepal"
I would like to be volunteer in Nepal as well and I wander through which company did you get the volunteer program?? Hi Shannon, a great story and reminds me when I had a brief exploration of voluntourism in Thailand. One of the most memorable days while traveling ever. Great photos too. .-= Devin´s last blog ..In Video: Nepal =-. It is a joy to connect with young people around the world in a positive way. Heartwarming encounters benifit not just here and now but they also shape the future, and yes it is so very good for the soul. @John – Funny enough I am launching a site for just that purpose in October -I had such a horrible time with my company that I decided to launch just a simple site that will do just this completely for free 🙂 Thanks for the kind words about the story – I just love this series. This is a great story! I love hearing about people that are using their travels to give more to the world. On another note, I have also discovered that many of the organizations coordinating volunteer experiences seem to be expensive and bureaucratic. Perhaps there is an opportunity for a more grassroots service? This series has really got me thinking. I love that thirst to learn that I think many people lose as they get older. With kids though that sense of wonder is very powerful. It’s easy to forget how much we have and take for granted. Dave and Deb, Thank you for having me on the blog this week and your oh-so-lovely words in the introduction! 🙂 I just love this series and am honored to have the chance to share my experience! Marina – I think it would be so amazing for your son to experience these types of experiences so early on in life! Trisha – Thank you for your kind words 🙂 I’m lovin’ the road trip series; you just can’t beat a good rt somewhere if your feeling a bit stir-crazy! I agree with Marina – beautiful pictures, beautiful story, and what a great learning experience it would be for parents to share with kids from this country – to spend a summer helping teach in places where education is so desperately in short supply. Kudos to Shannon for her generosity! We are going to Nepal next year and we may look into volunteering there. These photos just make me want to give them all a big hug. Congratulations Shannon on making a difference in their lives. What a great experience! I love the pictures. My parents were telling me that poor kids get an education this way! I have to start doing more of these trips with my son for him to see the real world. Becaseu without these experiences, it’s just sugar coated fun.